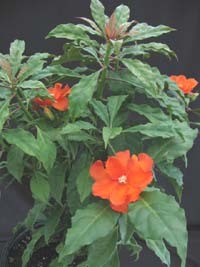 Pereskias are the only cactuses with leaves. 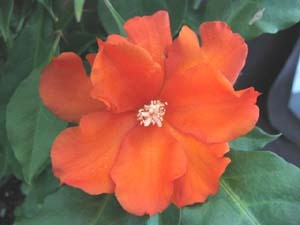 This rose cactus stays true to its name with large strong colored orange/red flowers that resemble a delicate rose. Its leaves will drop if the temperature goes below 40°.